Martial arts traditional concept is related to combat systems with and without guns, techniques that were developed in some regions from Asia for an estimated period of 1600 years (about 400 BC). In these combat systems, there is a huge range of japanese weapons that we are going to explain next. 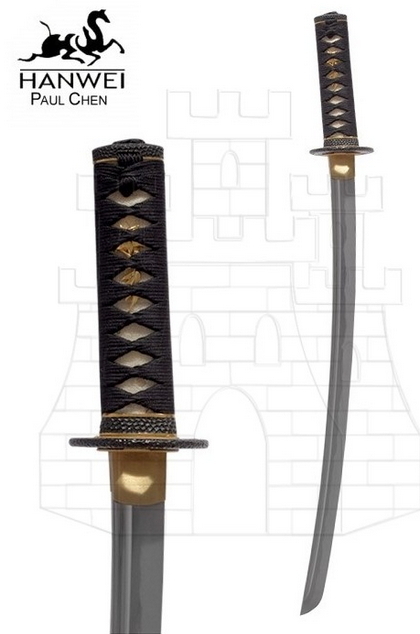 Katana: Sabre or katana is one of the most famous weapons, in feudal Japan only samurais were allowed to carry them, its look was sobre and robust and generally black for avoid being seen. Katana was used mainly to cut and due to its capacity to produce grave wounds, it was considered a kind of “hand guillotine”. Martial arts that use katanas are just Iaijutsu and Kenjutsu, as well as its derivations: Batto, Iaido, Biken Jutsu or Ninpo Kenjutsu. Iajutsu is the martial art of seathing and unseathing the katana. Kenjutsu is a martial art based on katana handle techniques in combat. 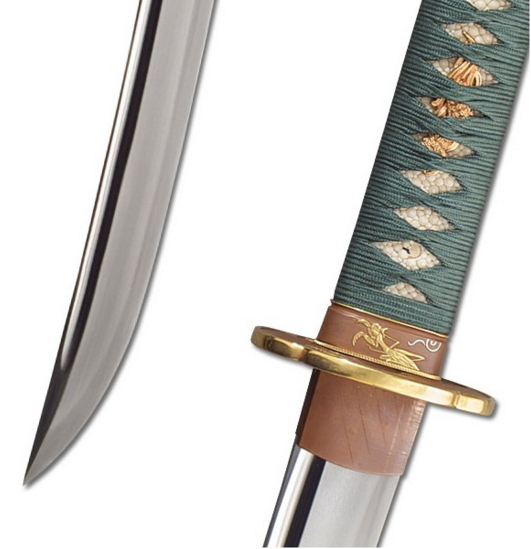 Tanto: It´s a kind of thin dagger with a simple edge and is usually hidden. It was only used in emergency cases. Generally it was carried into the obi (belt), and it was very useful in surprising attacks. The huge range of its sizes is remarkable, so we could say is a classic. 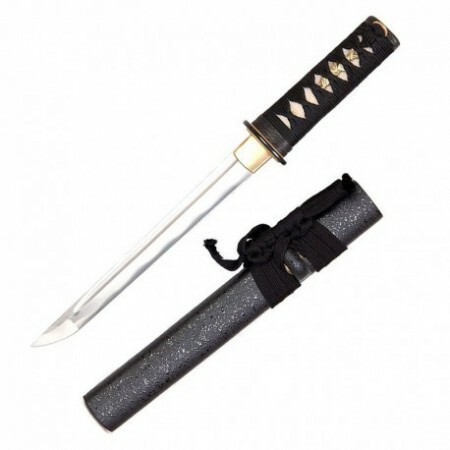 Tanto is a very versatile weapon, that´s why it´s not recommended for beginners. It is mainly used in Ninjutsu, also known as Shino-jutsu and as Ninpō, japanese spionage and guerilla art. This martial art is based on a several group of techniques and tactics used by ninjas for centuries. Tachi: Tachi is a sabre conceived for court ceremonies and celebrations. It is profusely decorated and its edge is engraved on beautiful designs. This weapon is longer and curver than a Katana. Tachi is mainly used on horse, where it was possible to brandish it to attack the enemy infantry. Anyway, on the ground is also effective, though really hard to use. This weapon doesn´t belong to any particular martial art. Bokken: Bokken, also known as Bokutô, is the implement we use to replace the traditional katana. It allow us to train without taking the risk of wounding ourselves, but it doesn´t mean we are talking about a harmless weapon, given that in expert hands it can become a lethal weapon. 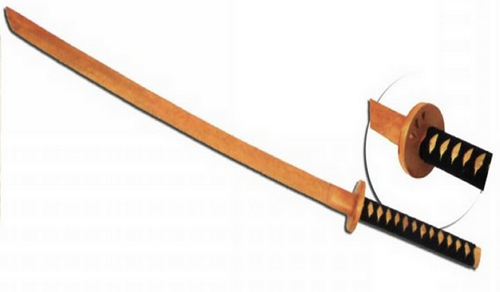 It is generally made in oak, and it comes with a tsuba in a flexible paste or rubber which is fitted to the weapon. Bokken must be treated with the same respect as the katana, although its wood materials can´t be a reason to disrespect it. Bokken is employed in many martial arts coming from Japan, mainly classical japanese fencing or Kenjutsu, modern traditional fencing or Kendō, the art of unseathing or cut with the sabre or Iaidō and the art of walking stick fencing or Jōdō. Iaito: Is a long training sabre specially designed for iaidō practice, which consists in seathing and unseathing or other martial arts that require the replacement of a real katana for a correct use without risks. 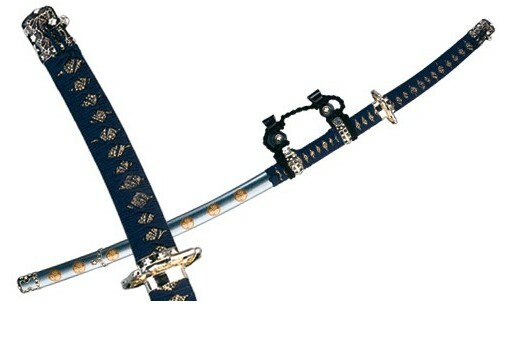 Iaitō´s construction must truly imitate a katana design. It´s essential to keep its original size, balance and weight, as in its finishing touch. In order to practice as best as possible its handle. 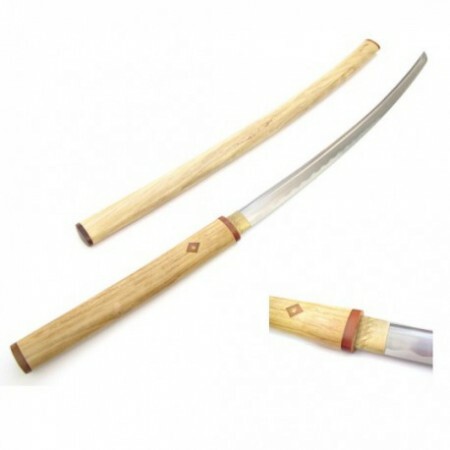 It is used to help the student to get familiarized with an authentic katana. 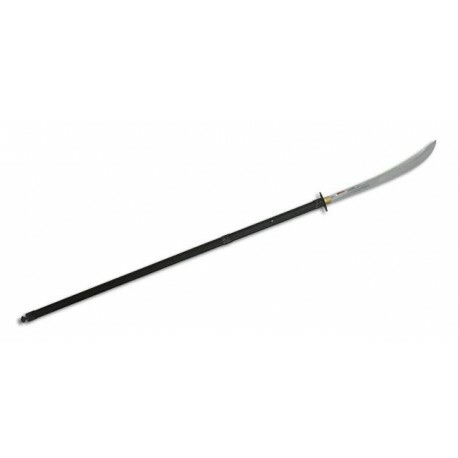 Spear Naginata: is a shaft weapon used by samurais in feudal Japan, is made of a curve edge in the end of a long shaft. 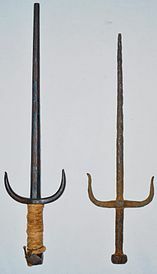 As a militar weapon, it became crucial in battlefields where it was carried and handled by the Infantry to defend theirselves against the Cavalry. Its combat technique it is called naginatajutsu, also employed in many others styles of Koryu Budo or Kobudo. There are several Koryu Budo styles currently into effect, with naginata as a relevant part of its training. Among those we can outline Tenshin Shoden, Katori Shinto Ryu, Suio Ryu, Tendo Ryu, Toda Ha Buko Ryu and Kashima Shinto Ryu. 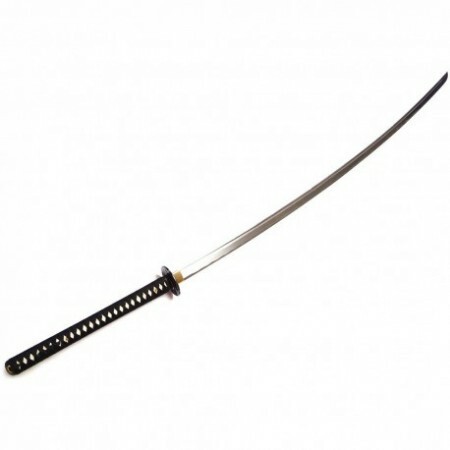 Nodachi: Is a two hands long sword. 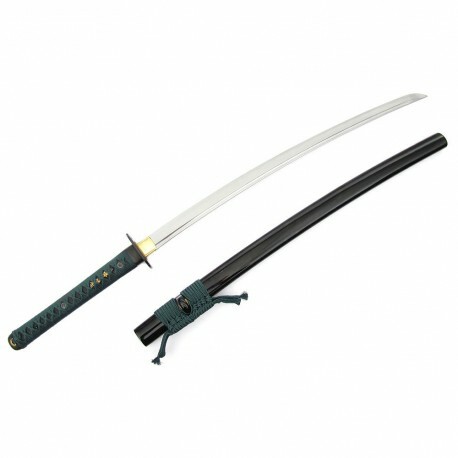 We can translate it into “Field Sword”, however, some sources suggest that “nodachi” has basically the same meaning as ōdachi which is”big sword”. It is a large size weapon mainly used for battles in open fields and usually to resist enemy Cavalry, its use was very limitated given the dificulty of forging its edge, besides, it had the same fonctions as Naginata, Nagakami and Yari. Shirasaya: Is a japanese sword blade which consists in a scabbard and a handle or tsuka, that it was used when the blade was not going to be used for a while and is owner needed to keep it in a safe place. The reason of this special storing set is due to the harm in the blade caused by its handle, given that the wood lacquer contains humidity and makes easier the corrosion. This kind of sword is not conceived to be used in combat. 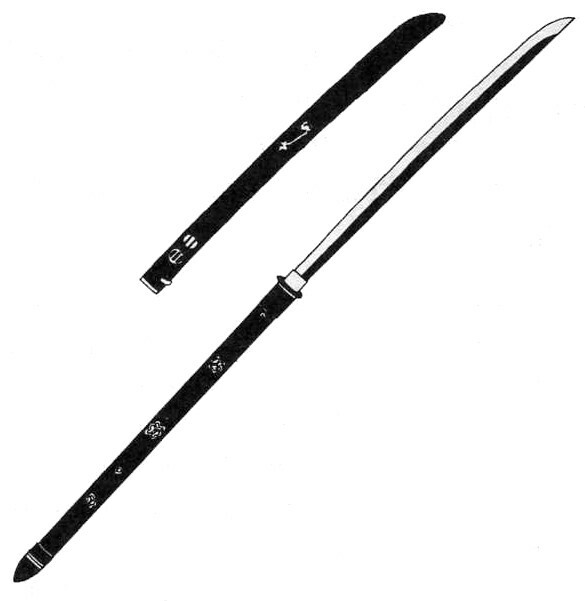 Wakizashi: It´s also known as shōtō, is a short, traditional and japanese sabre, its form is very similar to a katana, though its shape is generally thinner and therefore can hurt with a higher severity to an unprotected target. Samurai Warriors carried both of them often, caling them as an ensemble, daisō, which exactly means “the long one and the short one”. Being Wakizashi a shorter and more easy to handle, it was the most suitable for a deffensive strategy in closed spaces, where a katana´s movement would stumble into the ceiling, beams or furnitures. Nagamaki: It´s a japanese weapon which was very popular between the XIIth and XIVth centuries. It´s not very common to see it in martial arts, being reduced to collectors acquisitions, it was developed during the Muromachi´s period. It had the fonction of fighting against the cavalry in open fields. Its design is very similar to an Elven Sword. Sai: It´s a Japanese weapon whose origin is found in Asia, in the beginning it was conceived as a farming instrument that turned into a weapon. Its form belongs to an edgeless dagger but with a sharp point, it has also two long side protections also shaped joined to the handle. Sai are built in several ways, in some of them the point is round and mullet, while in others is octogonal. Sai is a tradditional weapon included in the study plan of Martial Art Kobudo schools (traditional weapons handle and learning) or in some Karate´s schools where this weapon is still in use, either in its degrees’ program or joined to other traditional weapons teaching. Call Center Monday to Friday 8-12 and 13-17h. We will be happy to answer any queries that you send us.